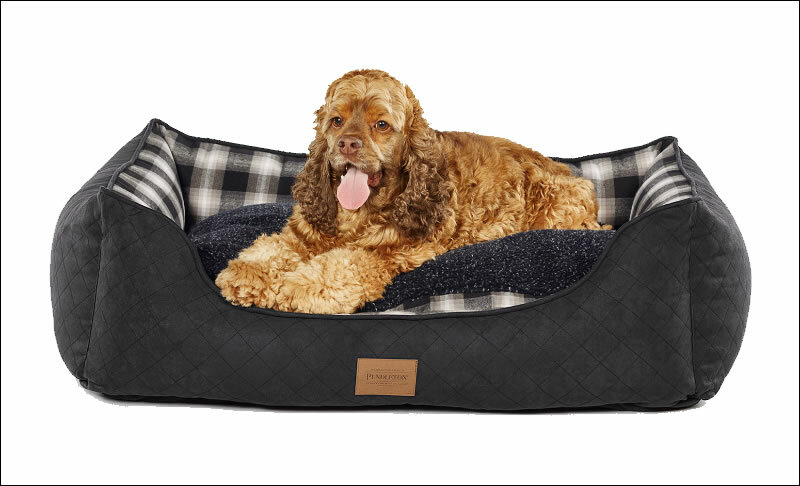 Inspired by the historic jacquard blanket patterns still woven in Pendleton's American mills, the classic Charcoal Ombre Plaid Kuddler bed wraps your dog in style and comfort. The inner plaid is paired with a black quilted faux suede outside. 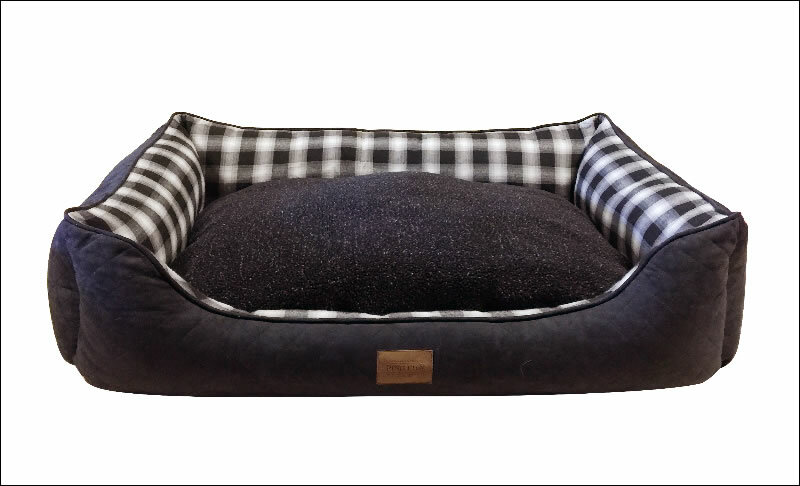 The soft cushion displays plaid on one side and a super comfortable black Berber on the other side. 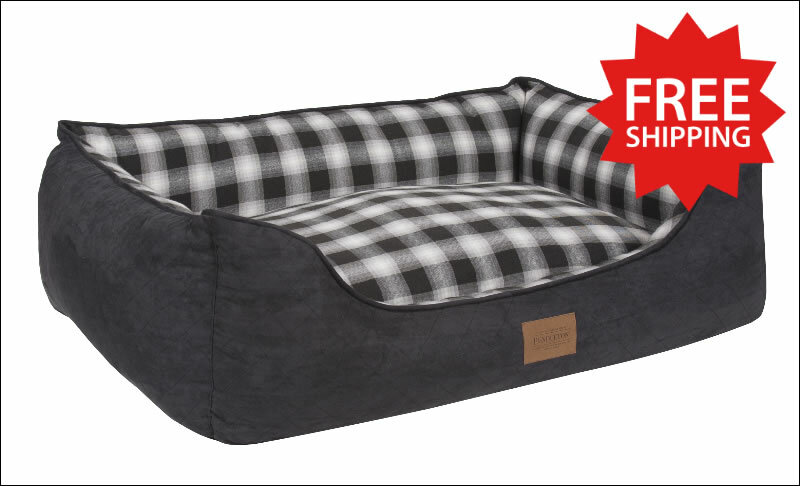 This classic grey and black plaid bed is part of Carolina Pet Company's Pendleton Pet® collection. Each bed comes with an easy care zippered removable cushion cover that can be machine washed. The inside features a water resistant liner containing an orthopedic foam base and a soft polyester cushion filled with 100% recycled high loft Memory Fiber made from recycled soda bottles. Does your dog like to spread out when sleeping? Try a larger size for more comfort and room. Extra Large: 42" x 30" x 10 1/2"